World Backup Day is observed every year on March 31st to remind us all about the importance of data and its backup in our lives for smooth and happy living. 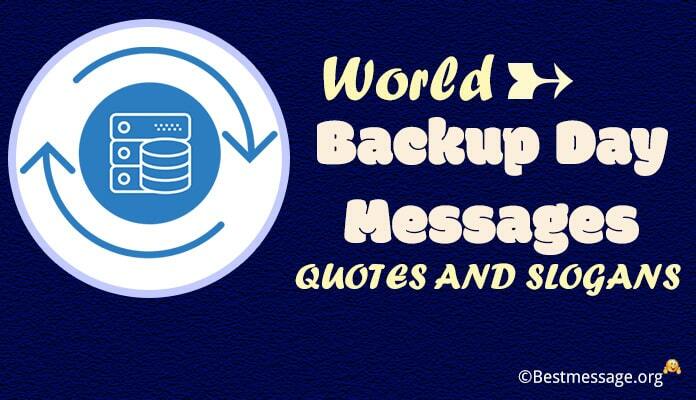 So send a beautiful reminder to your family and friends to always take backup of their data with backup quotes and backup text messages to share on World Backup Day. Select from the best of World Backup Day messages, Inspirational backup quotes and backup slogans to share on Facebook, WhatsApp and Instagram with your dear ones.